Season 26 of The Simpsons kicked off in sad style as one of the show's characters died. Rabbi Krustofski, Krusty the Clown's father, passed away in his office chair suddenly while having a conversation with his son. It was a heartbreaking moment for Krusty on two counts as he had been looking for his father to reassure him of his roasting skills after a sub standard performance left him doubting whether he should hang up his comedian boots. The Rabbi was about to let him know what he thought on the matter and began with "If you want to know my honest opinion of you, you’ve always been....Eh" and just like that, he passed away quite peacefully. This meant Krusty lost the chance of reassurance as well as losing his father forever. Fans of the show had whipped themselves into a frenzy after producer Al Jean had let slip in advance of the new season that a central character was to be killed off. Theories popped up everywhere with people even speculating that Homer could be the one to meet his end. Rabbi Krustofski was voiced by comedy legend Jackie Mason who won an Emmy award in 1991 for his first episode voicing the rabbi. Al Jean has said that the character is now completely dead and the only way he could make a future appearance is in Krusty's memories as the show is not in the habit of bringing characters back to life - just ask Bleeding Gums Murphy and Flanders late wife Maude. Meanwhile, Family Guy also returned to screens at the weekend where the Simpson family all appeared in an episode called The Simpsons Guy. 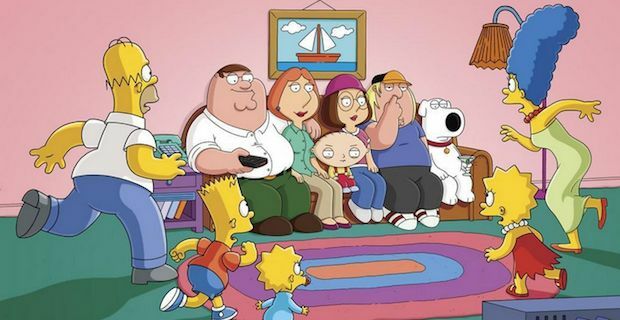 The episode received a mixed reaction as the Griffin family ended up stranded in Springfield for a day. It was weird seeing Lisa side by side with Meg, Bart and Stewie chatting away and Homer beating Peter up quite convincingly after all his experience of fighting giant chickens. The Simpsons apologise to Judas Priest fans for calling the band "death metal"